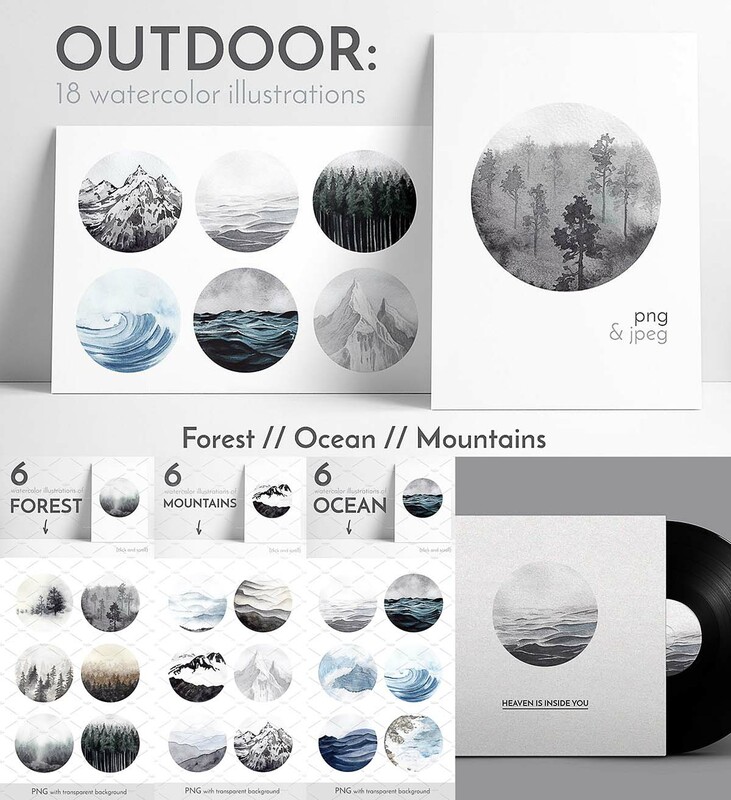 Introducing OUTDOOR: collection of 18 watercolor illustrations (round shape). Including: 6 watercolor illustrations of FOREST, 6 watercolor illustrations of OCEAN, 6 watercolor illustrations of MOUNTAINS. Tags: forest, grey, mountaing, ocean, outdoor, painting, print, recreation, round, tree, wanderlust, watercolor, waves.